1,20 mm latex. 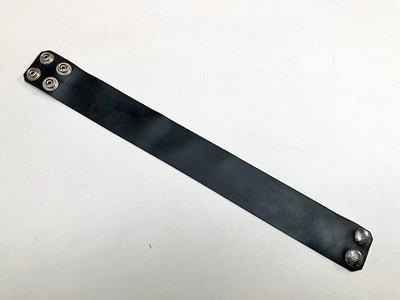 Plain black rubber bicep strap. Each size is adjustable with two snap fastners.